Green Works welcomes individuals, groups and corporations to share the passion for nature, plants and environmental sustainability. An indigenous species, specifically of the UAE, Oman and Saudi Arabia, the Ghaf is a drought-tolerant, evergreen, sturdy tree which can withstand the harsh desert environment, high rates of water loss and fierce temperatures of the UAE. A true survivor and a solution to desertification, the ghaf today is being over-lopped and over-grazed to destruction. Ghaf groves are succumbing to urbanisation and rapid infrastructure development. 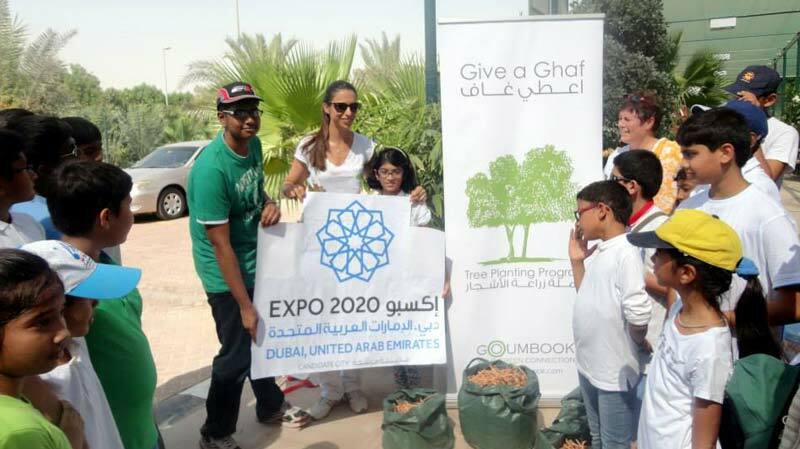 With this in mind, Goumbook, a unique platform dedicated to the Middle East & North Africa offering green information and tools to help users manage their green lives, created the Give a Ghaf tree planting campaign to raise awareness about this magnificent UAE national tree and plant ghafs in Green Works. Green Works is Goumbook's main partner in the Give a Ghaf program: each plant in Green Works is diligently tended to by a team of experts who secure the adequate temperature, wind and soil consistency for every leaf on the premises. Green Works together with Goumbook welcomes individuals, groups and corporations to share the passion for nature, plants and environmental sustainability. Green Works continues to host children from schools in the UAE as well as special needs schools such as the Safe Center for Autism and Asperger's Syndrome, which helps rehabilitate and integrate the children of the UAE in their community. As part of its effort to support the local community, the team at Green Works plant and sow seeds together with the children, educate them on the importance of sustainability and composting, and teach them how to grow plants. Specialists from Green Works often host university and secondary school students, who are either already in the landscape field or considering it a career. The team educates students on landscape design and how it is integrated with architecture and sustainability initiatives to create sustainable living. © 2017 Greenworks. All rights reserved.